Vissi d’arte, a setting by Giuseppe Giacosa and Luigi Illica, was composed by Giacomo Puccini in 1899 (Eb minor) and premiered in 1900. This aria is part of Act II of his opera, Tosca. Tosca is still nowadays one of the most appraised operas of all time. Puccini is in his forties when the opera is premiered (1900). His composition technic has matured and his collaboration with the librettists, Illica and Giacosa (Manon Lescault, La Bohème) reaches symbiosis. Based on a play written by Victorien Sardou, the opera is set in the city of Rome in 1800, threatened by the Napoleonic expansion. Tosca is unarguably Puccini’s first verismo opera: throughout composed music, realistic language, leitmotifs all unite into one of the most powerful melodramatic opera ever written. Act I opens on a church were Cesare Angelotti, a political prisoner has come to hide. A sacristan enters and starts cleaning. The painter Mario Cavaradossi arrives and resumes his work on a Madonna painting. Angelotti comes out of his hiding place and reveals to Mario he is being pursued by Baron Scarpia. The painter promises to help him once the night has come. Tosca arrives and Angelotti return to his hiding place. Tosca worries her lover, Mario is acting unfaithfully and asks him to spend the evening with her. He refuses but reassures her of his fidelity. After Tosca leaves, the two men resume their discussion and hasten out of the church. Later this evening, Scarpia interrupts a mass, convinced Angelotti is hiding at the church. They find his old clothes and when he learns Mario was there too, he is convinced Mario is helping with the whole escape. When Tosca arrives, Scarpia convinces her, he has interrupted a love scene between Mario and another woman. Furious Tosca runs to confront Mario and Scarpia’s agents follow her. Act II opens on Scarpia dinning. He hasn’t found Angelotti, but has arrested Mario, whom, when questioned doesn’t say a world. Tosca arrives just in time to see her lover being taken away to torture. Scarpia promises she will save Mario from incommensurable pain if she reveals Angelotti’s hiding place. She refuses at first, but hearing Mario suffering, eventually reveals Angelotti is hidden in the well of Mario’s villa. Scarpia asks Mario to be brought back and he is outraged when he leans Tosca has betrayed Angelotti. Scarpia asks to be left alone with Tosca and promises to free Mario if she gives herself to him, otherwise her lover will be executed. She expresses her despair in her aria: Vissi d’arte. Vissi d’arte originated was composed by Giacomo Puccini . The original lyrics are in Italian. The melodious note arrangement of Vissi d’arte ranges from pianissimo (very soft) mellow notes to forte (loud) notes carrying the player and the audience through an array of vivid emotions. The sweet soft beginning of the music piece gradually increases and decreases the loudness in smooth transitions. This music piece is decorated with phrases, slurs and an arpeggio. A perfect composition for piano players to try with an intermediate knowledge in music. Students can make use of this sweet music piece to improve their knowledge in music expressions, ornaments and sight-reading, while all music lovers could enjoy this brilliant extract whole-heartedly. 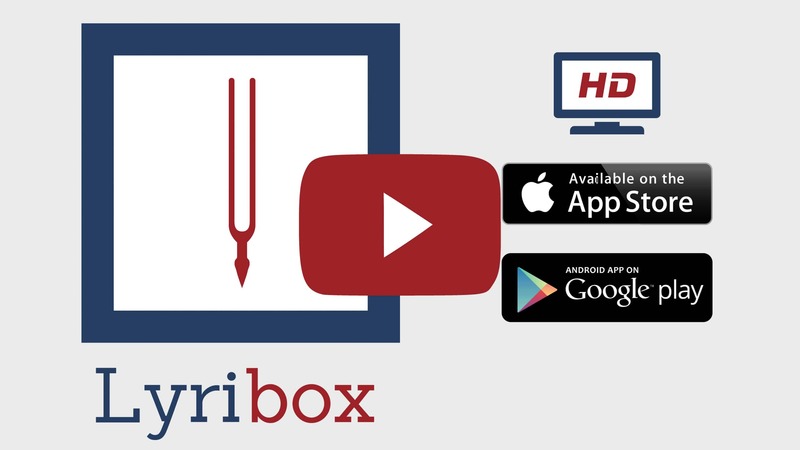 Vissi d’arte sheet music produced by Lyribox is clear, precise and is transcribed in English by Lyribox. By purchasing Vissi d’arte sheet music from us, you can simply sing along as you play this masterpiece on your piano. Unlike many sheet music sold online with all black notations, sheet music we offer you is marked using three distinct colors. While piano notation is illustrated in black, the music expressions and the lyrics are given in red and blue respectively. Get Vissi d’arte by G. Puccini sheet music from Lyribox today to enjoy and share this wonderful music composition with your friends and family. Vissi d’arte piano accompaniment is offered by Lyribox is mellow and smooth. It feeds the poem an underlying pulse, adding a sense of propulsion to it. Meanwhile the vocal line flows in a dreamy leisure manner forcing the audience into a calming and languid mood. The vocal line of Vissi d’arte by Lyribox has the potential to provide slight pitch support for the voice’s sometimes unusual intervals, enhancing the fullness of it. This accompaniment is not at all demanding. Using these rich Vissi d’arte accompaniments you could create one of the most brilliant performances that is pregnant with layers and layers of expressions. Purchase the Vissi d’arte piano accompaniment together with the vocal line accompaniment from Lyribox today!